Patience isn’t something we naturally have, or at least I don't. I struggle with waiting whether it be waiting for something good to happen, a bad situation to end, an answer to a question, traffic to move, or a line to end. If only I had the patience that Paul describes Jesus as having: limitless patience. (1 Timothy 1:16) I'm glad that His patience is limitless. Especially when I think about how patient He has had to be with me. He waited for me to finally realize I need Him. He waited for me to start giving Him control of my life. He waited for me to trust in His plan (many times!). Acts 14:22 tells us that life is going to be hard, not just occasionally, but often. Peter tells us not to be surprised by trials (1 peter 4:12-13) we should expect them. Why do I talk about trials? Because we experience trails so that we may gain patience (Romans 5:3) We all know the story of Job, a man who had it all, lost everything, went through a terrible ordeal emotionally, physically, financially etc. He remained steadfast, he is even referred to as patient in James 5:11 (KJV), and in the end he was rewarded. Let me point out that Job complained. He cursed the day of his birth, he begged for death, he complained in the bitterness of his soul. Kind of goes against our modern definition of the word patience (the quality of bearing misfortune, provocation, annoyance, delay, hardship, pain etc with fortitude and calm and without complaint anger or the like) Even God complained when the Israelites repeatedly turned from him. 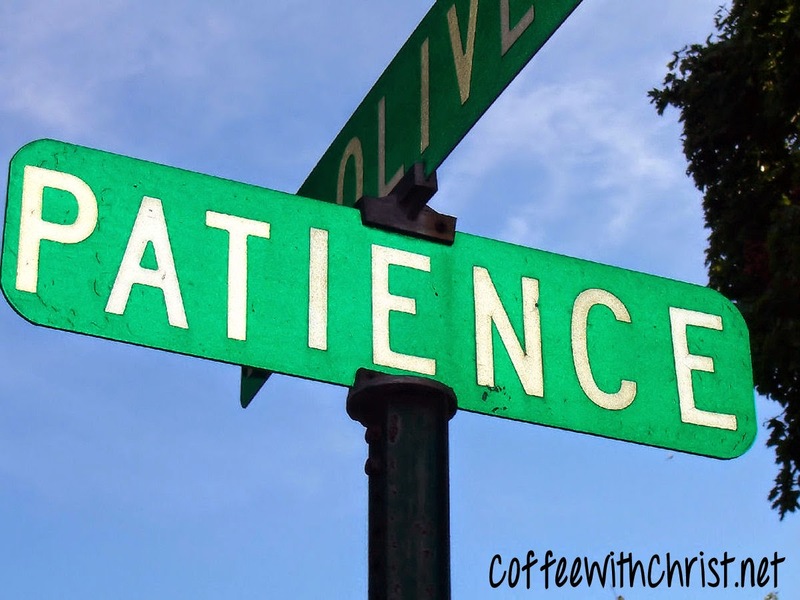 Patience is not putting on your big girl or boy britches and your happy face and pushing through it. Patience is hanging in there and making the best of it without sacrificing your faith, your purpose, your beliefs, your trust in God. Did you get that? Patience is trusting that God has a plan in your life and that He knows what He is doing. You abide under all circumstances because you know He is in control. You strive for patience because you are an imitator, a follower, of Christ - who is Himself patient. And you remain patient in trials because you know that this world is fleeting, and our reward will be great!